I actually made the bogie first because I read somewhere that it was a good idea to have something that was fairly self-contained completed early on, so that you can admire it (and maybe show it to your firiends). 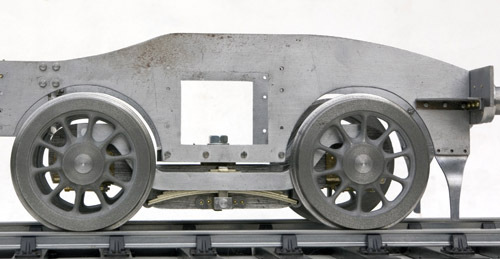 The bogie frames were made in the same way as the main frames. 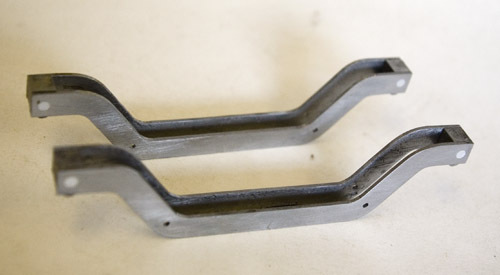 The hornguides were individually machined (simplified by the omission of some ribs that can hardly be seen) and rivetted in place. 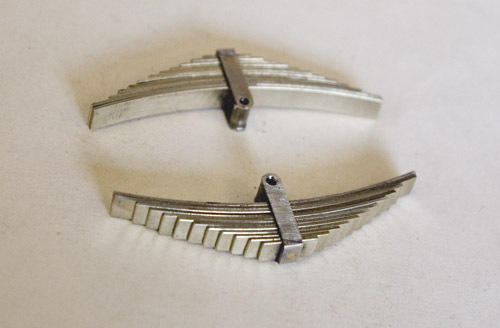 The springs are non-functional and are built up, which turned out to be about the same level of effort as making them from solid, as I did for the driving wheels. They are, in any event, largely concealled by the equalising bars - but not entirely as you can see from the picture at the top. 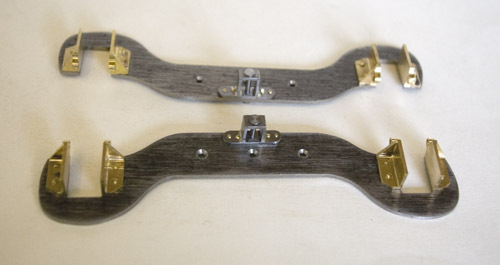 This is the stretcher and the side control springs. 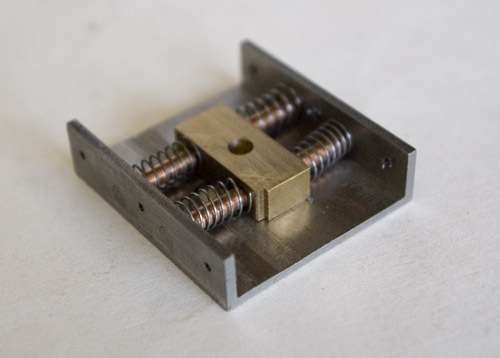 There is no vertical spring and theoretically it should not be necessary because the equalising bars can pivot and should do the job of keeping the wheels on the rails. We shall see how that works out in practice.